The design process has always been an essential aspect of vehicle development. Since the inception of computer-assisted design, the automotive industry has used computer graphics to create, modify and analyze digital models. We owe a debt of gratitude to the developers, software engineers and designers who influenced the design advancements the automotive industry has seen over the years -- from the drafting board to the PowerWall. In this article, we’ll examine the history and impact of computer graphics on automotive design and how emerging technology has brought this process to a new level. In the early days, design was carried out using drafting methods such as technical drawing. Automobiles started with nothing more than an idea and pens, pencils, and tape on the drafting board. Designers used these tools to improve efficiency and time to market, and the design process took on various iterations: clay models, machine models, the precursor to 3D printing known as stereolithography, and many more. In 1957, the first commercial computer numerical control (CNC) program was developed by Dr. Patrick Hanratty. This was an important advancement in design because it allowed machines to automatically carve materials. This was an introduction to technology to come, but the next major design breakthrough would not occur until decades later. The IBM Personal Computer was introduced in 1981, but it was not initially adopted by the automotive industry. At the time, IBM PCs lacked the computing power to run complex CAD programs. Instead, in the advent of 32-bit processors, designers depended on Unix-based workstations developed by prominent hardware companies such as Sun Microsystems and Silicon Graphics Inc. Throughout the ’80s and early ’90s, automotive designers used workstations that ran specially designed third-party CAD programs such as SDRC or Pro/Engineer. These programs allowed designers to create and interact with vehicle parts before creating physical prototypes. Over the next decade, software companies developed programs that were better optimized for workstation hardware. CAD programs experienced improved performance and greater rendering capability thanks to advancements in graphics co-processors (separate GPU's). GPU performance was driven by consumer gaming that was then applied to enterprise applications. Software and hardware optimization occurred at a rapid pace and as CAD technology became more affordable and efficient, the PC soon became the industry norm. Thanks, in part, to the advancement of dedicated graphics cards, PCs have been able to keep up with the growing demands of automotive design. Since the early 2000s, graphics cards developed by Nvidia and ATI (now AMD) have been used in PCs to accelerate displays and improve rendering quality for automotive CAD models. PCs have been the primary mode of CAD modeling for almost twenty years. 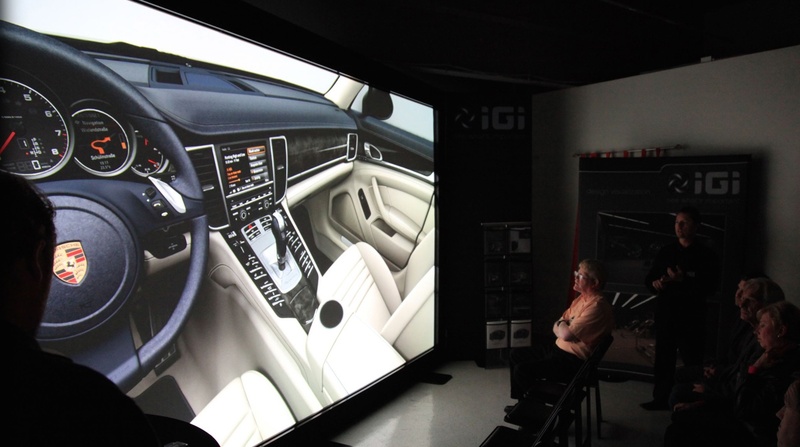 Visit our blog for more information on visualization in the automotive industry. Next, look out for part two of our overview on computer graphics in automotive design. In it, we will take a look at the current state of CAD in automobile design, explore how computer hobbyists influenced the industry, and look at the future technologies that are poised to shape automotive design.